"Ocean Mist" platter auctioned to raise funds for cancer research. 2013 - Re-worked an old piece for an art auction donation. 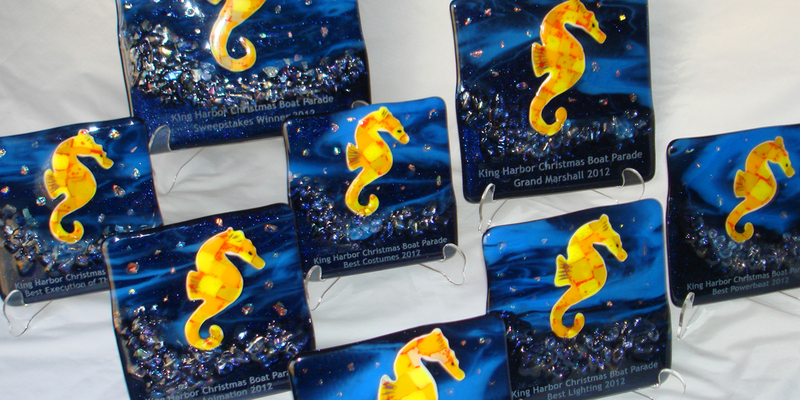 Kiln formed cast glass coral. A side view of a seascape showing the layers of texture achieved through multiple firings and techniques. Another view of the completed installation. Before - Periscoping stainless steel chimney with unwanted side vent. Before - flat stainless steel stove vent. Side view showing a single copper piece installation without vent slats. Completed project with the contrasting copper vent chimney. A before picture of the flag pole base. Mysterious pipe protruding from the old base. Building the forms for the new base. The base of the flag pole was not square so we poured a new concrete one over the previous. Checking the edges with a dry fit. Another view of the completed project. Finally complete and looking good. 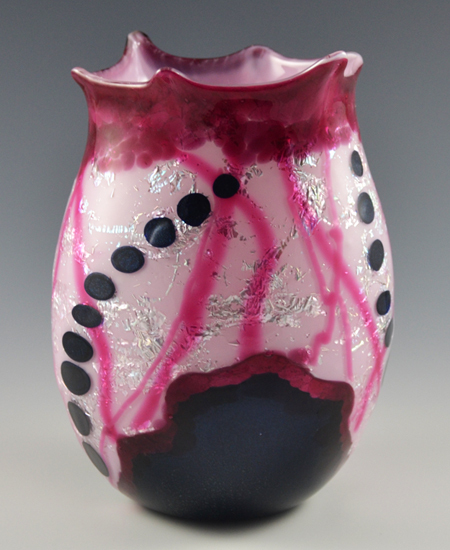 Pink “Lingerie” vase fused by Julie Coll and rolled by Myles Freedman. As an artist my imagination is ignited by the magic of glass. I like to explore how light moves through glass and bounces off of it. I love playing with texture and dimension. 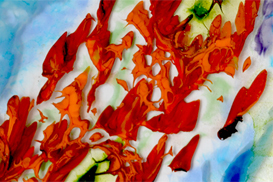 I create contemporary glass art for residential and commercial environments. I love collaborating on projects. It is very satisfying to help someone create a meaningful art piece or installation. I love talking “glass”. Contact me to discuss your next project. 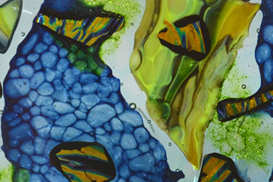 Glass can be a challenging medium, there is always something new to learn or technique to try. Explore my creations and projects. Julie wasn't always an artist. 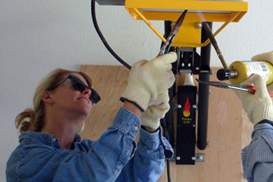 Discover how she started working with glass, the joys of a second career after kids and other passions that fill her life. Join me on my artistic journey with glass.